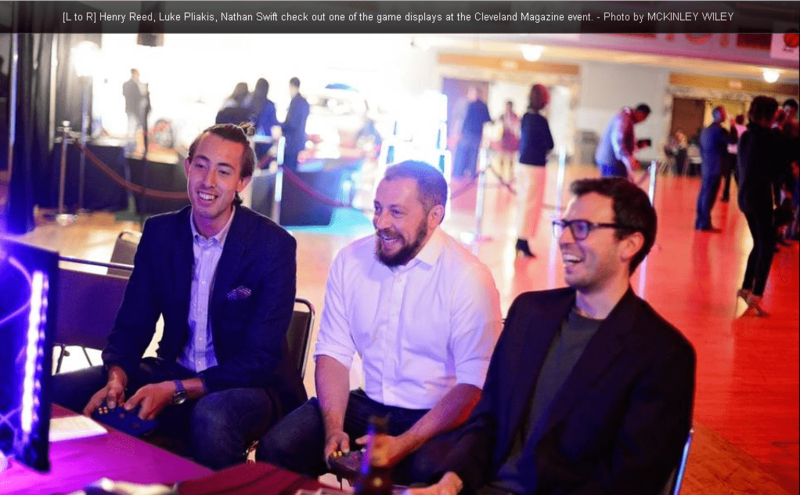 A Crain’s Cleveland Business feature on how Games Done Legit uses videogames and virtual reality (VR) creatively for corporate events and fundraisers, by Chuck Soder. “Chris Hatala admits he was an awkward, introverted kid. But he did know of one good way to make friends. Turns out, he was pretty good at video games, especially fighting games like Street Fighter II. By hanging out at arcades and playing in video game competitions, Hatala got to know “people of every race, every creed, every socio-economic status.” Despite the fact that, on screen, they were trying to beat the daylights out of each other. Those early experiences convinced him that people are naturally inclined to bond with one another while playing video games. 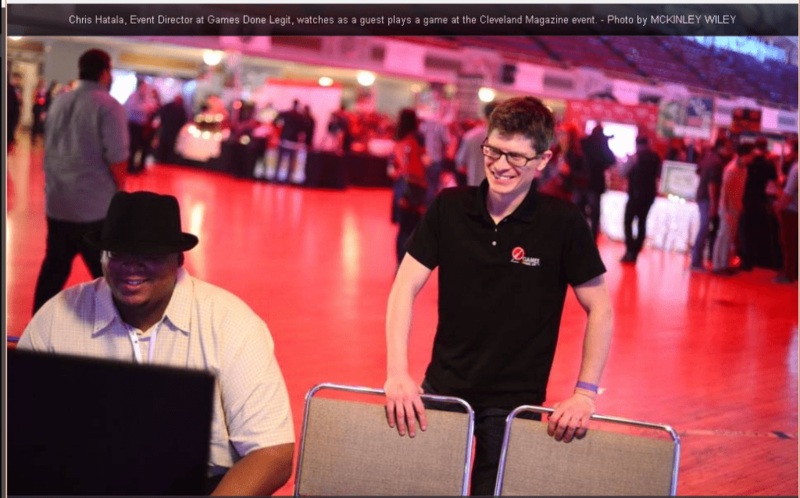 He watched that same phenomenon play out with students at Euclid High School in 2013, when Games Done Legit hosted its first video game event. The jocks were playing with the bookworms. A student with autism won one of the tournaments. And everyone seemed to have a good time, he said. “Video games can really bring people together,” Hatala said. Today, his company sets up video game consoles and virtual reality systems at all kinds of events. Some of his clients just want to entertain their guests, and Hatala is happy to oblige.